Rise of the Teenage Mutant Ninja Turtles is an American 15 minute animation children television series, which kicked off on July 20, 2018, on Nickelodeon and is broadcast every at 21:00. The show is currently in its 1st season. Nickelodeon has officially confirmed the renewal of Rise of the Teenage Mutant Ninja Turtles for Season 2. The exact release date is yet to be announced so far. Sign up to track it down. 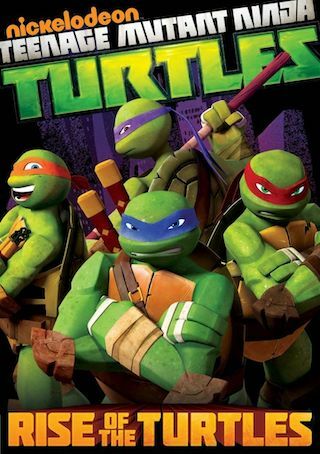 Leonardo, Raphael, Donatello, and Michelangelo are four mutant turtle brothers who go on adventures where they end up "tapping into mystic ninja powers they never knew existed", while learning to work together and navigate the perils of the modern age and hidden realms in order to fulfill their destiny to become a team of heroes. July 27, 2018, Nickelodeon, the number-one network for kids, announced today that Rise of the Teenage Mutant Ninja Turtles, the reimagined 2D-animated series, has been greenlit for a second season with 26 episodes.